Product prices and availability are accurate as of 2019-03-08 23:11:13 EST and are subject to change. Any price and availability information displayed on http://www.amazon.com/ at the time of purchase will apply to the purchase of this product. 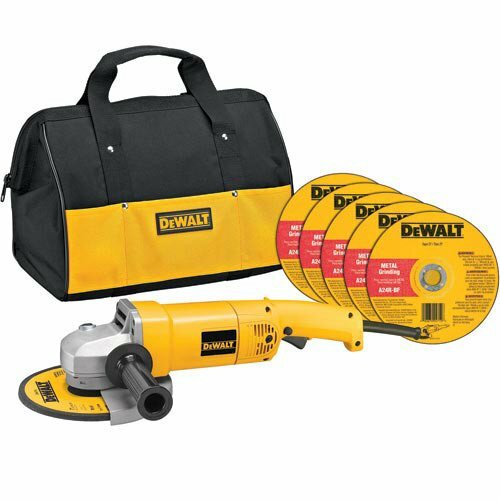 The DEWALT DW840K 7-Inch Angle Grinder with Bag and Wheels. 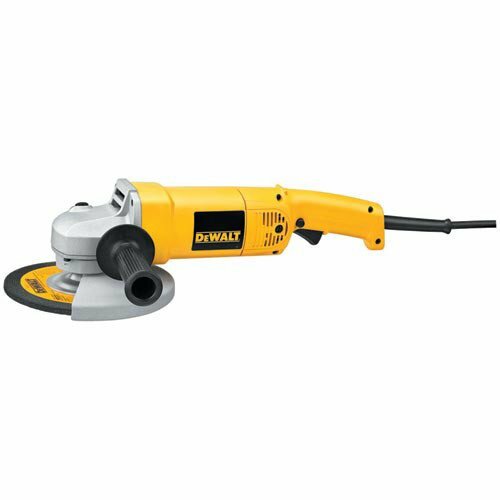 This grinder features a 13.0 Amp AC/DC, 8,000 rpm motor which provides high power and speed for 7" grinding applications. It has a high power-to-weight ratio for greater efficiency and reduced user fatigue. The adjustable guard can be adjusted to redirect sparks away from user. Rear handle design for greater comfort and control, and external brush caps for easy servicing. The sealed ball and roller bearings allow for extended motor life. A spindle lock button allows for single-wrench bit changes. 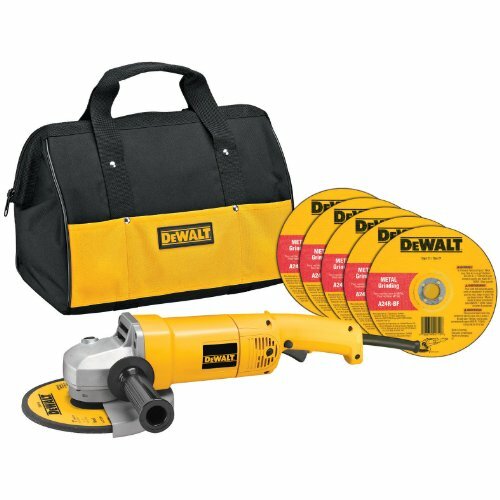 Includes (5) Grinding Wheels, Wrench, Backing Flange, Adjustable Guard, 2-Position Side Handle, Carrying bag.